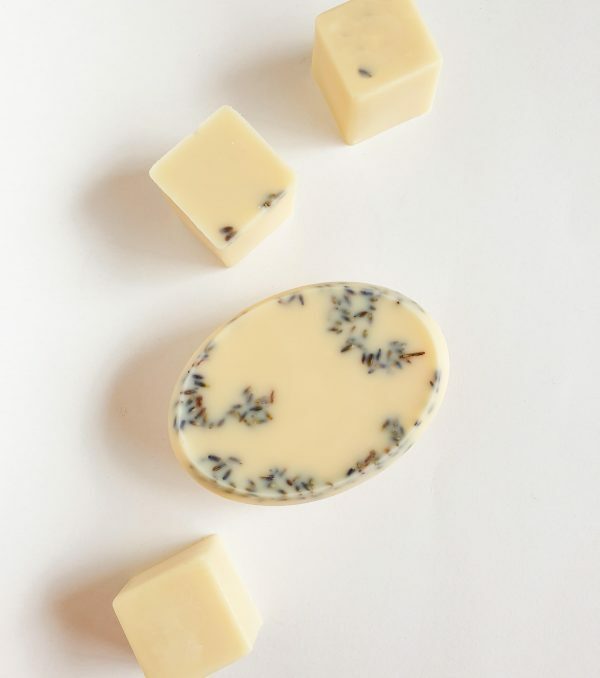 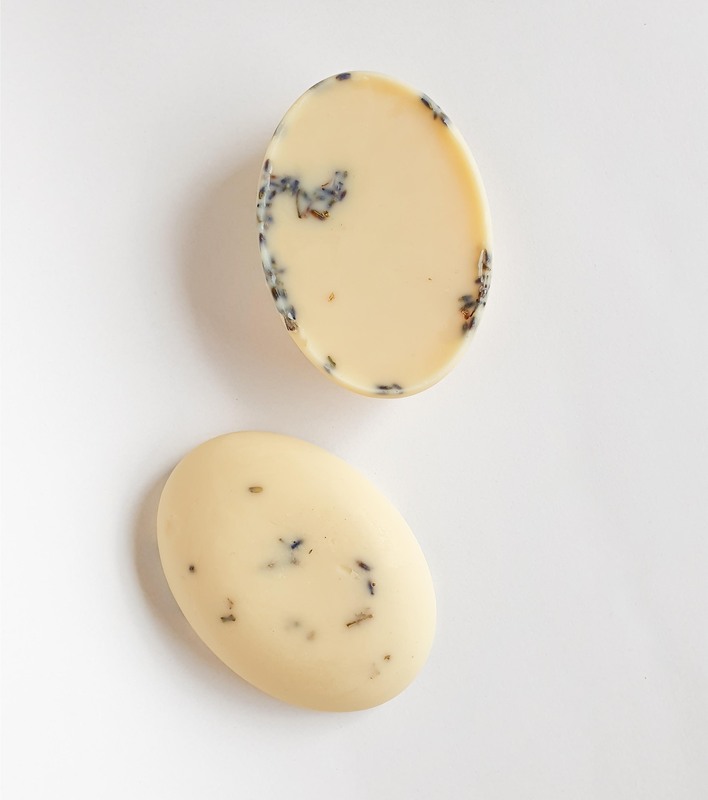 This warm and comforting massage bar is perfect for keeping your body hydrated and relaxed. 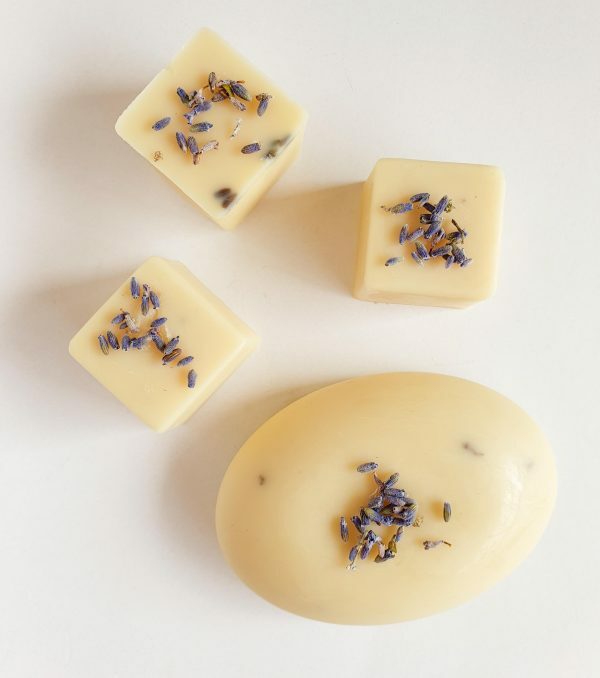 Use it on your skin as a solid lotion or use it on a friend or partner as a dreamy massage bar. 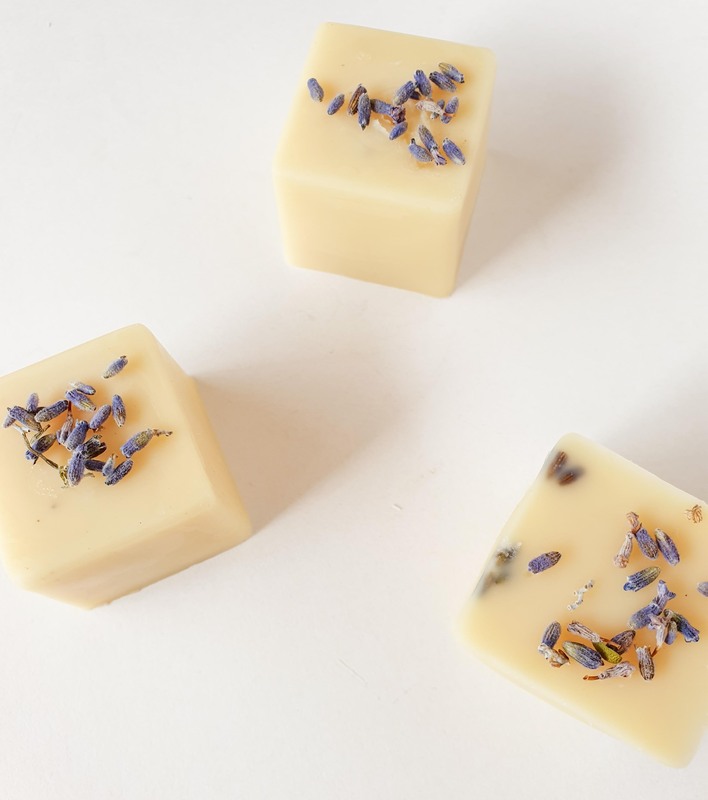 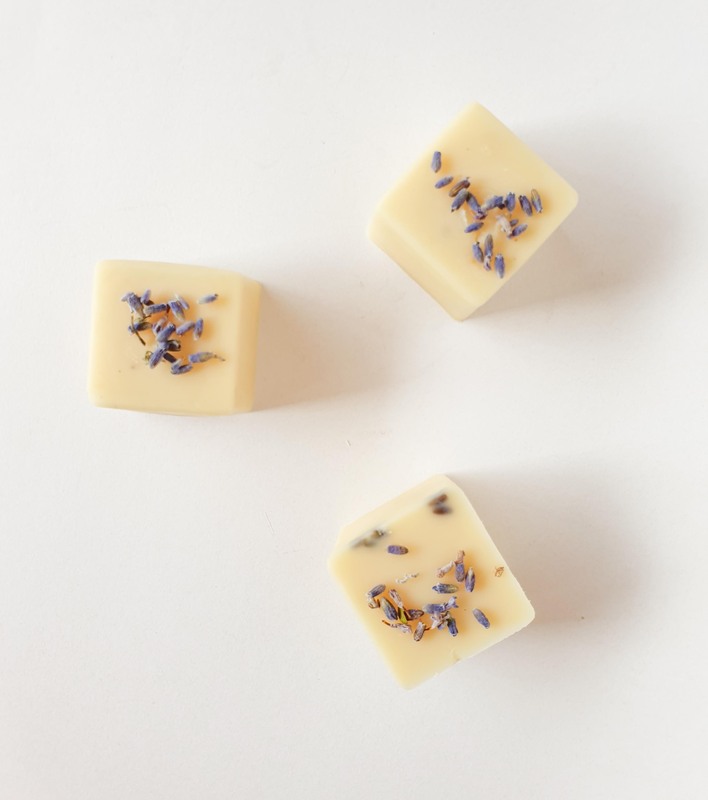 The lavender flowers along with the lavender and clove essential oils keep you relaxed and peppermint essential oil helps to sooth and calm the skin. 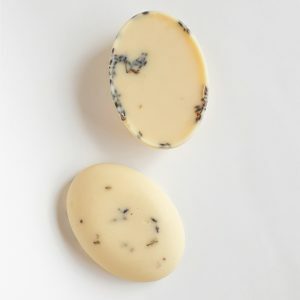 Bar contains 24g. Packaging: Each massage bar is packaged by hand in 100% compostable handmade paper and has no plastic.